Built from Ink and Tea: "Grogrog Think Pen Too Big"
Caption: "Grogrog Think Pen Too Big"
Fountain Pen: Rotring Core, "Tanakor"
I always liked the look of these - shame Rotring discontinued them! The nibs on the Rotrings I do have (an Art Pen, and an Esprit) are lovely smooth writers. 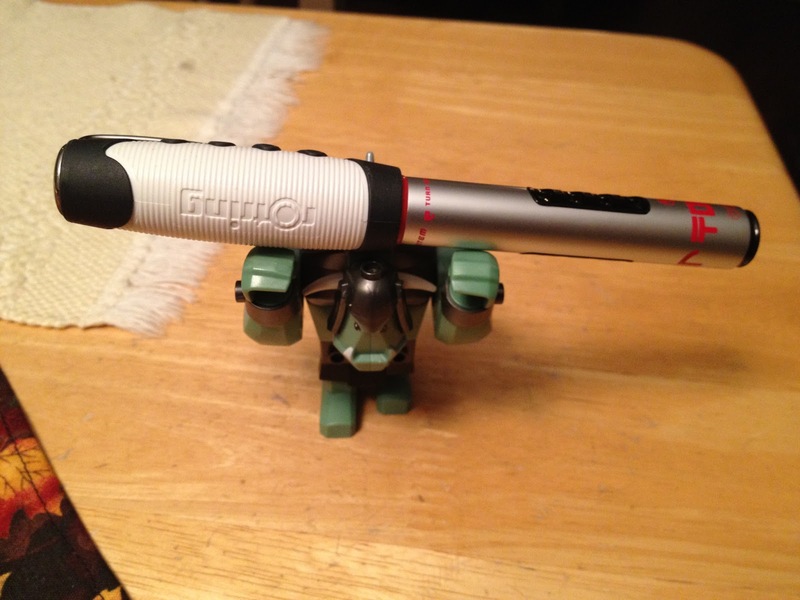 Shame, also, that Rotring is no longer importing to the United States. Is the lack of Noodler's there an issue with shipping costs? It's EU regulations, I think. We can still get stuff via Goulet &c, but it's a bit pricey to ship ink here - pens work out at around £20 after shipping for the Ahab, Konrad &c.